Crazy with a capital C!! It’s the truth, I mean I don’t know many adults who would chose to give their lives to hang out with teenagers. 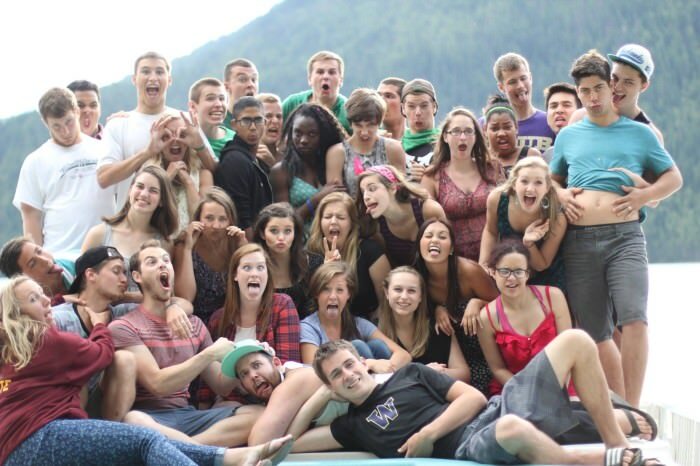 When you decided to accept the call into youth ministry, did you have any sense how it would change your life? That your hopes of a “normal” life would disappear. Did you have any idea that the call into ministry would mean sitting in the hospital with sick teenagers? Or having the experience of holding a teenager while they have a mental breakdown? Did you every picture that you would find a group of students at one of your events hidden away playing with dirty dice? (I wish I wasn’t speaking from experience on that one…) These are not the things that school prepared us for…but these are the moments that make up youth ministry. There are moments of great joy followed by moments of great pain and disappointment. With every victory story there is a failure story…this is journey of youth ministry. Can I just tell you that I believe…we are brave. I mean, we are crazy but we are also brave. We spend our days telling students to be brave and courageous but it is good for our hearts every once in a while to remember that we are brave for following this call! I’ve met several youth workers at conferences and I have never met one yet that doesn’t really desire for the students in their communities to experience the goodness and love of Jesus. We give our time, our resources and our dreams to live into our crazy calling. It is okay to understand that this is the work of the brave. You are brave and what you do is good. Even when you don’t feel it…this is true. Today, would you believe it for yourself and would you consider passing it on to another youth worker!